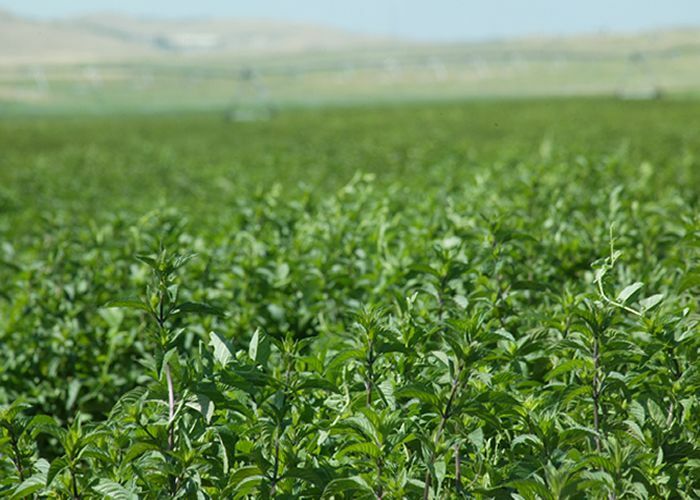 Spearmint: ants, aphids, caterpillars, black flea beetle, gnats, lice, moths, and plant lice. 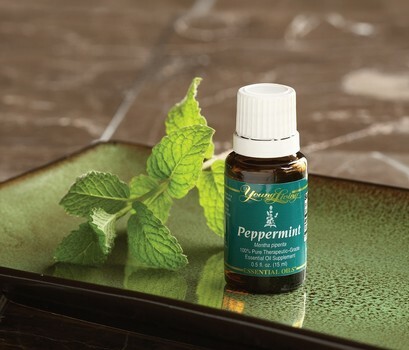 Peppermint: ants, aphids, bean beetle, cabbage root fly, caterpillars, black flea beetle, flies, lice, moths, and plant lice. Lemongrass: black flea beetle, fleas, mosquitos, and ticks. Tansy: black fly, carrot fly, fleas, flies, greenfly, mosquitos, and white fly. Hyssop: aphids, cabbage root fly, moths, and slugs. Thyme: bean beetle, cabbage root fly, cutworm, and ticks. Sage: cabbage root fly, cutworm, nematodes, ticks, and white fly. Rosemary: cabbage root fly and carrot fly. Patchouly: gnats, snails, weevils, and wooly aphids. Pine: slugs, snails, and wooly aphids. Sandalwood: weevils and wooly aphids. 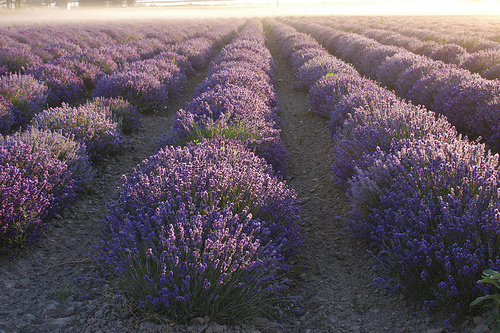 Check your Essential Oils Reference Guide for additional ideas about using Young Living Essential Oils in your garden! If you are new to using the oils, you may have plenty of questions about how to use them, when to use them, and which oils to use for what purposes. These are very common questions for those of us who were not raised in a home that used essential oils on a regular basis, but fear not! There are a variety of resources available to help you learn all you wish to know about how to incorporate these oils into your life, and we are here to help you find them! One of our favorite resources for learning more about how others are using the oils is: www.Oil-Testimonials.com. Here you can use the search option to search for a specific condition you may be experiencing, such as “headache” or “varicose veins” and then browse the posts by other users of essential oils to find out what they have used that’s been helpful. You do have to create an account using an email and password of your choice, but you will also be able to share this resource with others you introduce to the oils as a personal reference. Another helpful resource, if you live near the Eugene area, is…(drumroll, please) us! 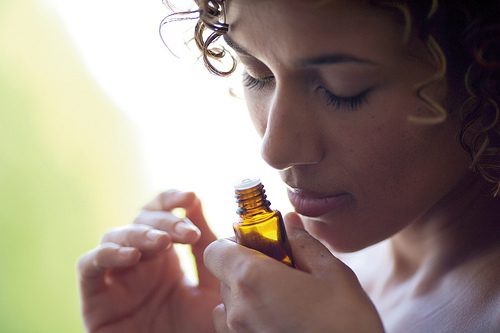 Attend one of our introductory classes to essential oils. After some interest was expressed, we have decided to host 2 classes in the next couple months for beginners to come and learn more about using therapeutic-grade essential oils as non-toxic, natural alternatives to harsh chemicals in the home and on the body. We will also be discussing how you can turn your love of essential oils into a business working either part or full-time! Visit our website: www.EugeneWellnessCenter.com, to keep up on our Monthly Classes, Monthly Specials, and Monthly Promotions offered by Young Living! Another way you can keep connected to us and get tips on using the oils is to sign up for our Email Newsletter by clicking here. And if you are still looking for more resources to learn about essential oils, you can sign up for our Marketing Scents newsletter which offers more in-depth and specific information about using the essential oils, what they are, and how to properly use them. Just let us know if you are interested in being on the newsletter mailing list, and we will add you 541-344-8912. Again, you can always check in with us and what we are up to by visiting our website at: www.EugeneWellnessCenter.com. Have a great day and happy oiling! 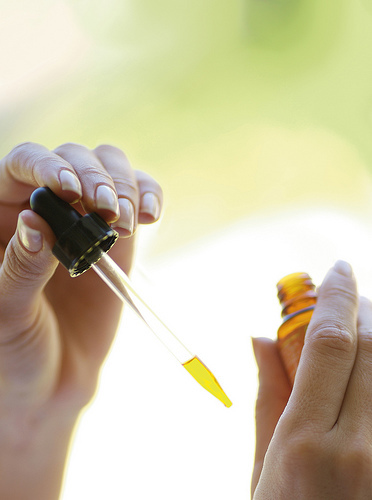 Check out this news story about the power of essential oils! 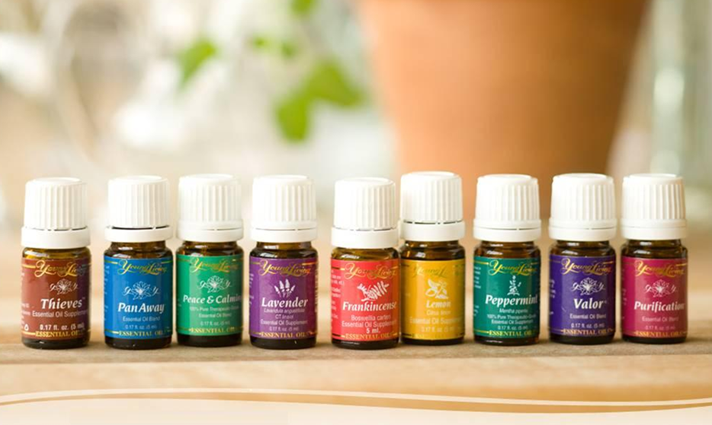 For more information about Young Living Essential Oils, contact us at the Eugene Wellness Center 541-344-8912, and look for classes we host about using the oils in your daily life on this site under “Events & Classes” or on our website under the tab “Wellness Classes”. You may be spending the days prior to and after the Christmas holiday traveling across the country, sitting in heavy traffic, busy public places, and crowded buzzing airports and planes. All of this mingling around with the general public means contact exposes you to many of the cold and flu germs that are being passed around right now. Your immune system may be challenged due to stress, lack of sleep, too much Holiday Cheer and an altered diet (usually poor food choices this time of year). All of this is good reason to do what you can to keep your immune system healthy and strong this time of year. That will help insure your health and happiness and keep you ready for any festive events you may have planned when visiting family and friends! With this in mind, I have compiled Top 8 tips for staying well while traveling. During all the hustle and bustle, remember to make yourself a priority and take the time and make the extra effort to keep yourself well! 1. Frequently Wash Your Hands – This is KEY when traveling. Airplanes are known to be one of the worst places for germs and bacteria, as are airports and other heavily traveled areas. Avoid touching your eyes, nose, and mouth with your hands, as these are portals for germs to enter the body. This is also true when eating out in restaurants, especially after touching the chairs, booths, menus, salt & pepper shakers, which are all known to be havens for germs. Carry Thieves Waterless Hand Purifier with you at all items. When you touch a handrail or another area you know to be heavily used, pull it out of your pocket, backpack or handbag and USE IT! Use soap and hot water to wash your hands frequently, then follow with Thieves Waterless Hand Purifier. Keep in mind, however, that for most airlines each liquid in your carry-on bags must be in a bottle or container with a maximum volume of 3.4 oz. Thieves Waterless Hand Purifier is only 1oz. so you should be fine to carry it in your purse or carry-on bag. 2. Stay Hydrated – Drink plenty of pure filtered water prior to entering your gate, where you know they have strict rules about liquids. Once inside, unfortunately, you will have to purchase the super-pricey bottled water to satiate your self during your flight. Drinking plenty of water can really make a difference in keeping your immune system strong throughout a busy vacation. Avoid coffee, black tea, and alcohol which can all lead to further dehydration. Pack a small bag full of various herbal teas to use on the plane and in restaurants. I keep a bag of teas in my purse at all times, traveling or not, for this purpose. That way you only need to request hot water to make yourself a healthy beverage! My favorites are: peppermint, chai rooibos, and ginger. Another great travel tip is to pack a small bag of chia seeds. Add a few to your bottle of water and drink throughout the day for added energy throughout the day as well as a dose of healthy Omega-3 fats and antioxidants! The chia seeds will actually also help to stabilize your blood sugar, an added bonus! Also, pack a fresh lemon in your bag and squeeze the juice into your water or tea to alkalize your body and for an added boost of vitamin C.
3. Bring Snacking Supplies – Be prepared for day-long trips and travel munchies by topping off your carry-on bags with apples, cherries, carrots, cucumbers, cherry tomatoes, almonds, homemade trail mix, avocado, quinoa salad, raw food bars, dark chocolate, flax crackers, rice cakes, or other snack foods you might enjoy. Bring a small container of almond butter for a nice spread or dip. Stay away from the airport and airplane offerings which may contain high fructose corn syrup, pesticides, preservatives and other poisons, and which can impair immunity. Before you leave, research where to find fresh organic food options once you get to where you are going and make a point to hit up the store upon arrival to keep yourself stocked with healthy options for the duration of your trip. – A very common mistake for most people is waiting until the last minute to get everything together and then rushing out the door without eating. This leaves you hungry and sitting in the airport or in heavy holiday traffic with only access to super-processed off-the-highway or airport industrial food, which is not only less tasty than real food, but also sorely lacking in nutritional value, and potentially harmful to your immune system (your whole body!). If you have to eat some processed food along your journey, look for as “close to the source” options as you can find such as mixed nuts or dried fruit. Avoid easy go-to’s like potato chips and pastries. If you have to leave super early, make yourself a breakfast burrito, an almond butter and banana sandwich or green smoothie (or both) the night before and store in your refrigerator overnight. Leave yourself a note on your bags so you don’t forget to grab them on your way out in the morning. Your tummy and your conscience will thank you for planning ahead. 5. Remember to Breathe – When joining the millions of other people traveling this holiday season, patience can make the difference between a pleasant trip and a stressful one. Prepare yourself for delays in advance so that if things go smoothly and on-time you are pleasantly surprised! Understand that everyone around you is also going somewhere and that being impatient is only going to negatively effect your own energy balance as well as potentially that of others around you. Utilize your breath. When stress starts to build, take a moment to breathe in deeply through the nose, hold for 3 seconds, and release. Repeat. Deep breathing has been shown to be one of the best ways to lower stress in the body and anxiety of the mind. The best thing about this is the deep breathing can be done anywhere and costs nothing! Once you reach your gate or airplane seat, continue to calm your mind and de-stress your body through quiet meditation. The holidays are supposed to be a time of love and compassion for others (ideally so is every day life), not a time for projecting your personal stress on to strangers. Deep breath, in and out…and on with your day. – This one may seem like a given, but many people forget how cold those overhead air vents on the plane can make your flight experience, even if only the person next to you is using it. Also, temperature changes from outside to the plane, to wherever you are going can lead to uncomfortable situations and added stress, so remember to wear something warm and comfy. Bring a zip up jacket or small blanket. The airport or the car are not the places to be worried about fashion, just make yourself cozy and you are more likely to remain comfortable and pleasant throughout your trip. 7. Eat Well – Just because you are leaving home for a few days or weeks, doesn’t mean you have to let go of all your typical food habits. Don’t beat yourself up for having a piece of pie or Christmas cookie, but believe me when I say, it’s no fun to make yourself sick by going overboard with things you normally wouldn’t eat. I made this mistake earlier this year: on vacation in California I decided being at the ocean wharf meant eating a large bowl of fresh clam chowder would be ok, even though I have avoided dairy for over two years now. MISTAKE. I ended up feeling terrible and dizzy, and spending the next 10 minutes after our meal in the bathroom trying not to throw up the meal I’d just enjoyed. When we start making positive changes to our eating habits, our bodies adjust to this new way of eating, and your body doesn’t know the difference between holiday vacation and not, so just be smart. Let yourself have a little fun, but don’t make it a point to go back on all the positive progress you’ve made. You’ll be happy you stuck to your conscious eating throughout the holidays, I promise. 8. Consume Garlic – Garlic is highly immune-boosting and a perfect addition to meals during the cold and flu season. When I start to feel a sickness coming on, I make sure to get plenty of garlic (cooked and raw) into my diet to give my white blood cells the support they need to fight off germs! Another good tool to have in your germ-fighting tool box, by the way, is Thieves Hard Lozenges. Packed with the power of anti-bacterial, anti-fungal essential oils, they are perfect for travel and fit nicely into a purse or pocket. So, that’s it! Do what you can to relax and have a good time. The most important thing to remember is to NOT STRESS. Everything will work out as it should, and the best thing you can do for your health and happiness is to take deep breaths, practice expressing gratitude and appreciation, and remember that you are beautiful and amazing. Have a Wonderful Holiday and Happy New Year! 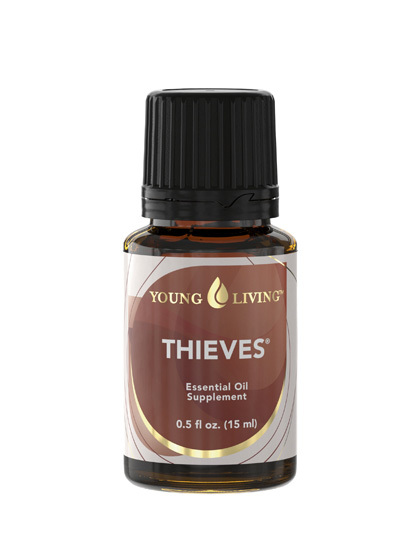 There are many oil blends out there which have incredible properties, but none more impressive than the subject of this post: Thieves! This blend contains a powerful combination of oils that are known to be highly antibacterial, antiseptic, antiviral, and anti-infectious, making it a super addition to any immune-boosting regimen. The name, Thieves, comes from research about a group of 15th-century thieves who covered themselves in essential oils to avoid contracting the bubonic plague (also called the Black plague) while robbing the bodies of the dead and the dying. The plague was said to have been so contagious that those who touched the dead or the sick were immediately affected themselves, which usually lead to death. When the thieves were apprehended in Marsailles, France 1413, they were offered more lenient punishment in exchange for revealing their secret to resisting the infection. The thieves disclosed a combination of herbs and oils they had used. These oils are the basis of the Thieves oil blend recipe. Research conducted at Weber State University in cooperation with D. Gary Young, as well as other documented research, indicates that most viruses, fungi, and bacteria cannot live in the presence of many essential oils. Oils high in phenols, carcacrol, thymol, and terpenes, such as those found in Thieves oil, are especially useful for this purpose. These oils are not only beneficial when diffused, but can also be used in the home and in a variety of natural living products such as toothpaste, floss, mouthwash, hand soap, and waterless hand purifier. Young Living offers these products as alternatives to the harsh chemicals present in most cleaning and home products. 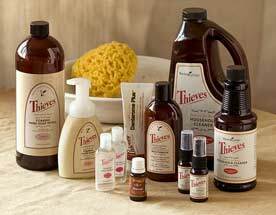 If you are looking for a non-toxic way to keep your immunity high, and your body and home clean and smelling fabulous, Thieves is your blend! 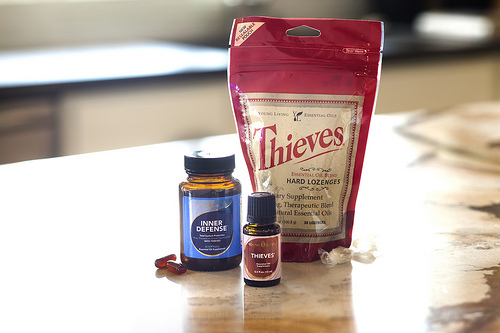 One way you can use the power of this essential oil blend to boost your immune system this cold and flu season is by utilizing the Thieves lozenges in combination with Young Living’s Inner Defense supplement, which contains a combination of essential oils including Thieves blend, Oregano, Lemongrass, and Thyme. In fact, this month Young Living is offering a special promotion featuring Thieves and other immune-boosting products. Visit our Essential Oils page to check it out! Use with care and discontinue use if you have any kind of allergic reaction.